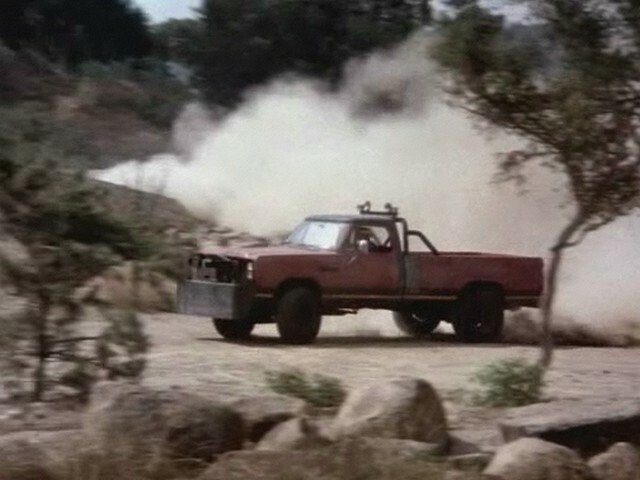 MachoPowerWagon.com • View topic - Macho clones used in Simon & Simon? Macho clones used in Simon & Simon? Post subject: Macho clones used in Simon & Simon? Is it me, or is that hood from an '81-up Power Ram? The grille looks to be gone and the quad headlights could be retrofitted, right? If this has been covered, please forgive my n00bness and direct me to the threat. Thanks! Post subject: Re: Macho clones used in Simon & Simon? I think we had a thread about this a while back... I'll see if I can find it. I seem to remember palomino pointing out that one truck is a clone, an 81 I believe. I have the episodes on DVD and watch them fairly regularly. One truck is a legit 79 which is easily detected by the correct roll bar. The 81 clone has an aftermarket bar which can be seen here. I watched the whole run when the series was new and never noticed the differences in the roll bars until palomino pointed it out. Check out TomSullivan's models of the Simon & Simon Macho in this thread which shows the difference in the two truck's roll bars. Thanks for the replies and the links! That episode of S&S is one of my favorites, especially the scene starting at the 40 minute mark. Reading Tom Sullivan's comments in his post on the other site confirms my memories of the two different trucks used on the show. I remember seeing a manual-trans version on the show as well as an automatic. I also recall that one truck has what looked like 33" tires but in other shots it looked like it had 36" tires. I also remember an episode (with the climatic scene on a beach as well) that showed the left front tire clearly and it had a 5x5.5" bolt pattern and a normal sized lockout hub (not a skinny one like a 5x4.5" bolt pattern would require). 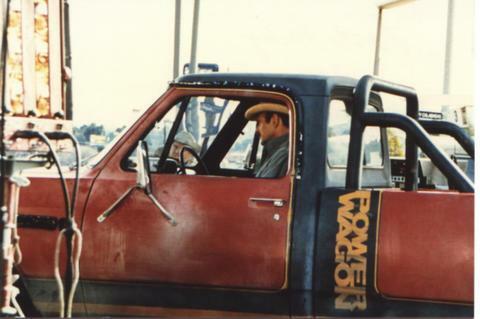 When did Power Wagons stop having the raised center section on the hood with the Power Wagon emblems on them? I thought they went through '80, which is what caught my eye in the original photo I posted.